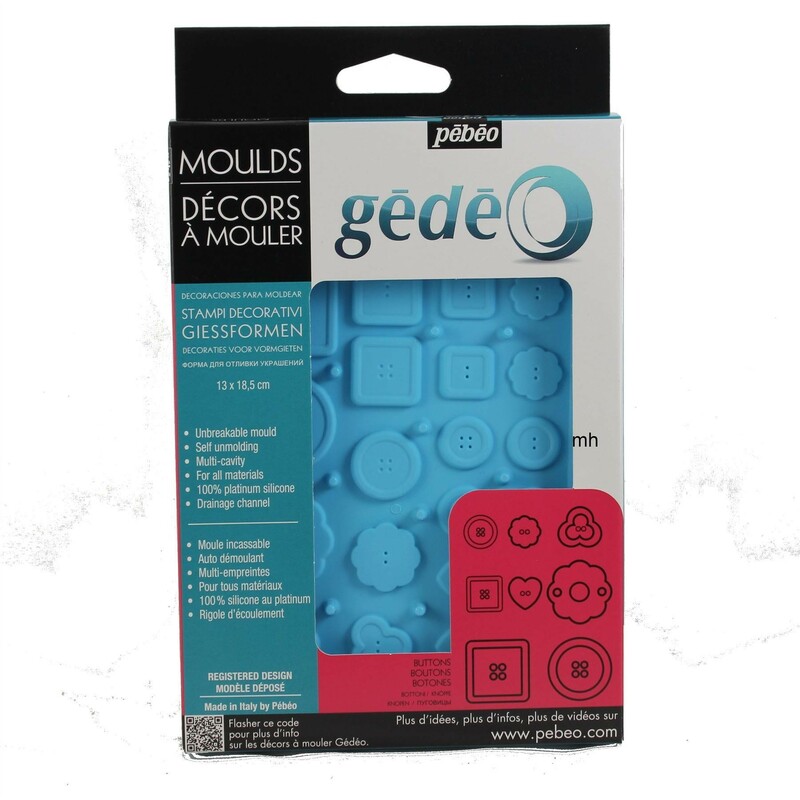 Pebeo Gedeo Buttons silicoone mould. 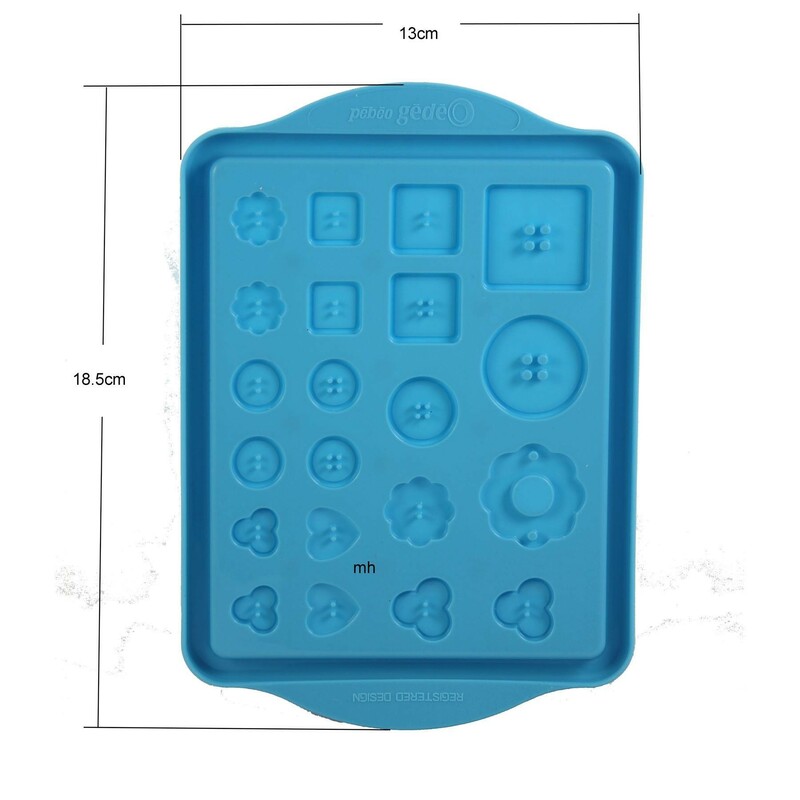 The Blue 100% platinum silicone has drainage channel and is unbreable. 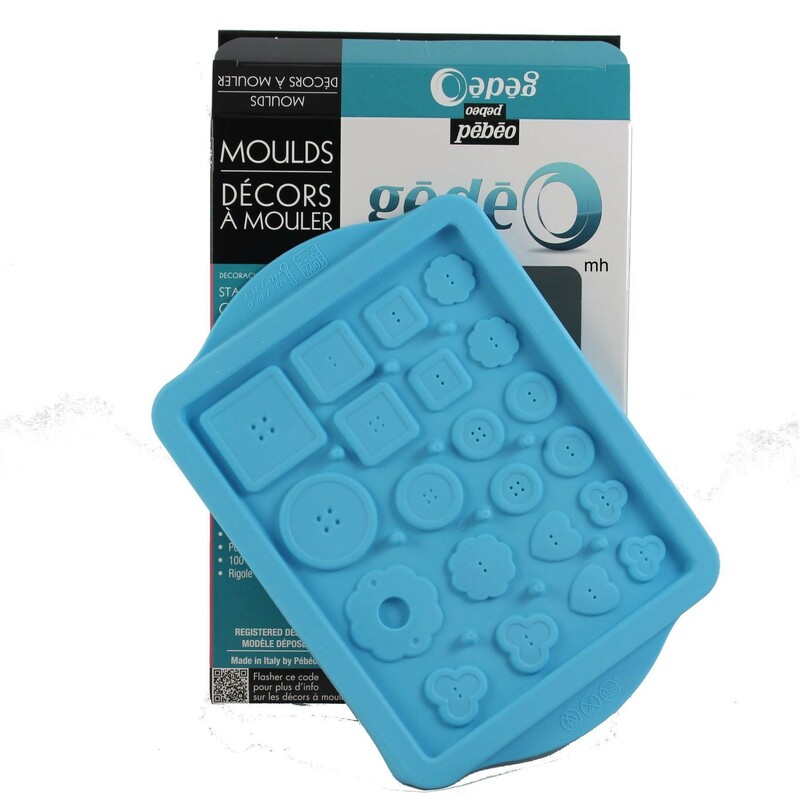 Self unmolding, Multi - cavity, For all materials. 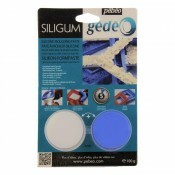 Made in Italy by Pebeo.